Fred's partner Scott shared his side of the story with such grace and kindness, amid interruptions due to barking sounds. Production note: next interview, double check whether or not there is a dog park in the vicinity. Continue reading "No Blues Here"
Continue reading "Countdown to “My Coma Dreams”"
Last night, we filmed Fred and critic Gary Giddins at the Jazz Legends series held at CUNY Graduate Center. Fred shared some fun memories of playing in the 70's in NY, interrupted by thunder and a hailstorm hitting the skylights. It will make for an interesting soundtrack! Yesterday's rehearsal of My Coma Dreams at Fred's was a gem. It was the first time I got to hear and film the song "The Knitters" in its entirety. Michael has the most beautiful voice. "I wrote it with him in mind," Fred told me afterward. It shows. Fred’s latest album was just released! 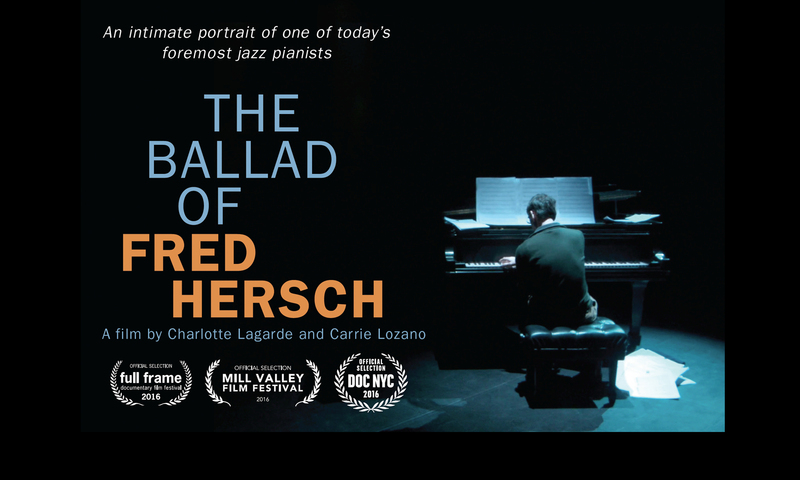 Fred Hersch's latest: Alone at the Vanguard. Read what the NYTimes had to say. Continue reading "Thanks to the iPad…"